How does one embrace uncertainty without succumbing to fear? This installment of the Bienal de São Paulo will offer provisional answers to the question at a time when the globe is increasingly faced with dramatic instability in the political, social, and natural worlds. Rounding up eighty-one participants from thirty-three countries, the exhibition will explore topics ranging from ecology and cosmology to collective knowledge. Following the recent trend of research-based art, many of the show’s works will evolve from local residenciessuch as a garden of edible plants cultivated by Portuguese artist Carla Filipe in collaboration with the Botanical Institute of São Paulo. 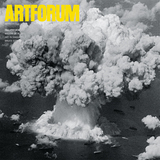 In Brazil’s current climate of unrest, in which the survival of the country’s cultural institutions is under threatthe Ministry of Culture narrowly evaded dismantlement by the interim government this past Maythe numerous public and private partners supporting the biennial unwittingly mirror its theme, providing one possible model for how to “Live Uncertainty” in the arts.